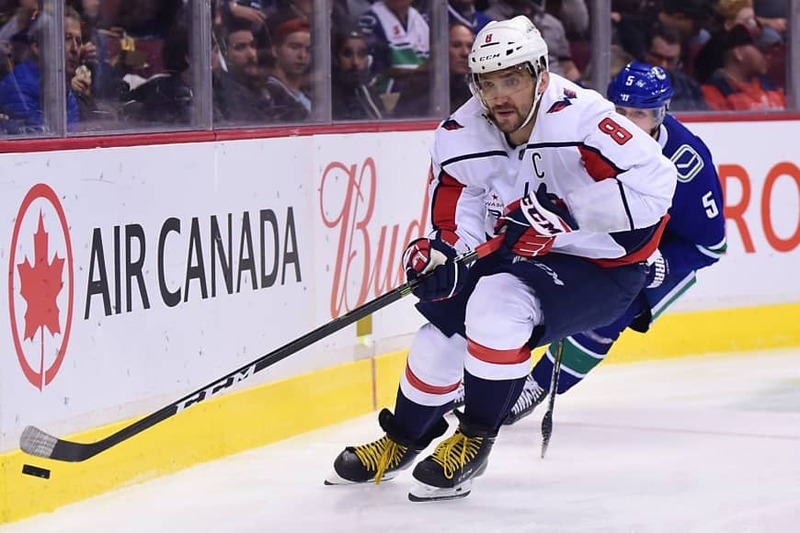 VANCOUVER, BRITISH COLUMBIA - Alex Ovechkin had two goals and two assists to lift the Washington Capitals over the Vancouver Canucks 5-2 on Monday night. The defending Stanley Cup champions also got goals from John Carlson, Evgeny Kuznetsov and T.J. Oshie. Troy Stecher and Sven Baertschi scored for the Canucks (5-4-0). Braden Holtby stopped 22 shots for Washington (4-2-2), while Vancouver’s Anders Nilsson turned away 28. Carlson scored 2:20 into the game and Stecher tied it early in the second before Kuznetsov’s power-play goal made it 2-1 midway through the second. Ovechkin extended the lead with 26 seconds left in the period. His line peppered Nilsson with shots, and the Canucks goalie managed to stop a blast from Nicklas Backstom, but couldn’t contain the rebound. The puck bounced off Ovechkin and into the net. 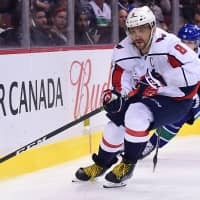 Baertschi scored 20 seconds into the third period on a power play for his third goal of the year, but Ovechkin added a power-play goal about five minutes later, then assisted as Oshie iced it with his empty-netter. In Winnipeg, Jacob Trouba’s goal at 2:54 of the extra period lifted the hosts over visiting St. Louis. The Jets twice had to overcame deficits to improve to 5-0-1 on home ice this season. Winnipeg has a 10-2-0 record in its past 12 games against St. Louis. In Detroit, Petr Mrazek made 20 saves against his former team, Micheal Ferland scored for the fourth straight game, and Carolina snapped a three-game losing streak with victory over the hosts. In Philadelphia, Mikko Rantanen scored two goals, and Matt Nieto and Gabriel Landeskog each scored once to lift visiting Colorado past the hosts. Avalanche goaltender Semyon Varlamov stopped 37 shots for the team’s third win in a row.